We took our sweetest honey rub and added fiery chipotle to make it a beautiful contradiction of sugar, spice and everything nice. If your taste buds can handle being deliciously confused, then it goes great on just about any meat you could possibly imagine! 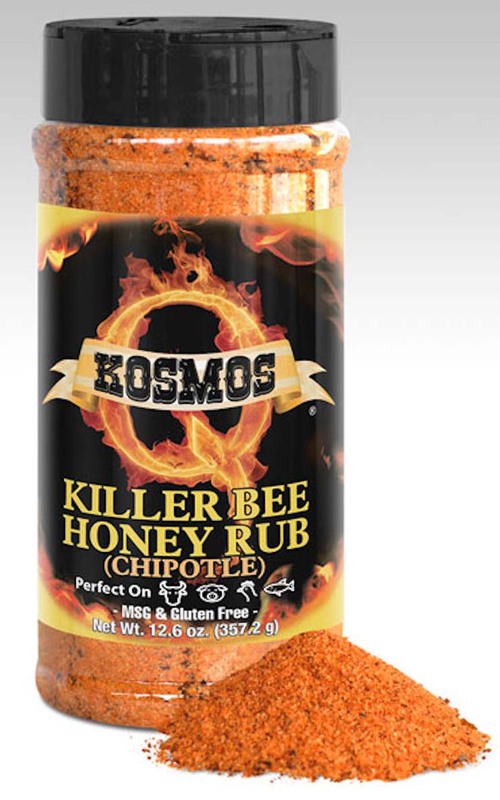 Kosmo's Spicy Killer Bee Rub promises that you'll be the talk of the 'Q no matter who's tasting. MSG & Gluten Free. 13.2 ounce shaker.